Ah no don't worry, I was ordering them bundled to the same order initially anyways. I just forgot that the shipping was so costly so I left them out to keep my financials happier. We're good. I can join for other plate options in R2 in any case, right? There might not be a R2 sir! But i might stock a few extra PCB's and some acrylic plates! What's the best way to tell you if we want to change our order? I am thinking of changing from pink to purple. Email, PM, phone call, text message, letter with a pigeon? Argh, you're not making it easy. But again, there are only 3 orders of pink. Will definitely be unique. What keycaps would pair well with pink though? Oh, can I give a friendly suggestion? Would it be ok to have a spreadsheet of what engraved order number associate with each order (the invoice order number)? So we'll know what number we'll be getting? As for the engraving number form, it will be very tricky to get up anytime soon. I have shopify orders, paypal orders, mechkeys.ca orders, zFrontier orders, cash orders and other non-order number orders. It would take me a while to put it up, but I can definitely try once I organize every last order! Also the pink looks almost more magenta right? sorta like this? Try to get your choice in before the GB closes bud! I think any of those are great choices! Mm i don't think so, the pink should be darker than that! The purple is definitely lighter and more magenta-e, but i wouldn't say the pink is. interesting that you have a 1.25/1/6.25/1.25/1 config on the bottom row (1.25 and 1 on left and right of space bar are inverted) - any reason for this or just for lolz? Do u know what time u r planning on closing it tomorrow? Hey donut!! A full day from now, at midnight!! Dec 1st at 12pm. Like 29 hours from now (its 7:30 pm right now)! 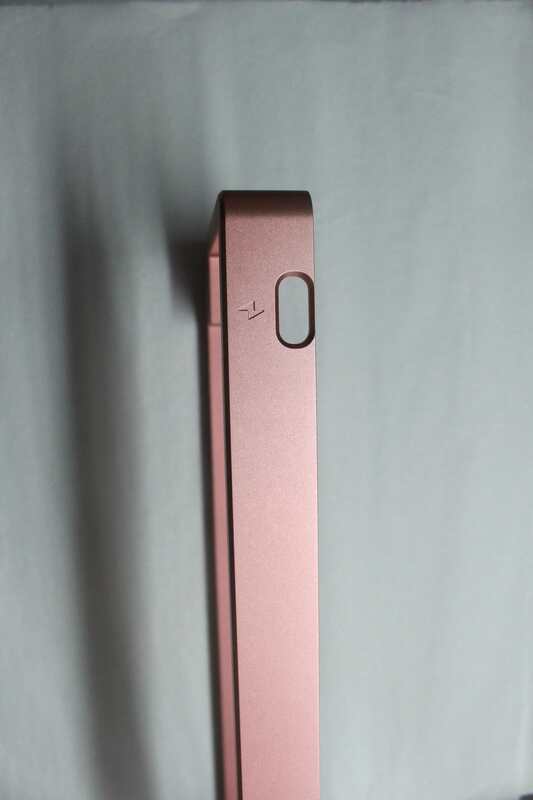 Ordered mine in black with red aluminum plate. Still not sure if I can handle 40%, but I know if I missed out on this, I'd be kicking myself. I already ordered a silver Pearl, but I think I just need some validation. I'm pairing this with GMK Laser. I'm not quite brave enough to commit to the bright case colors (even though they look incredible), so I wanted to stick to silver, gray or black. What do you guys think? Will Laser pair well with a silver case? And now I realize I want one as I have GMK laser that could go on! I don’t know what color to pick! I've decided to go popular cyan for laser. Maybe to pair it later with Ponyo SA if it will be successful. Are there any SA GB’s currently running or starting soon? I know Flamingo is running. Kono has SA Berserk (Maxkeys) open through December if you're interested in red/orange - it's an Eva Unit 02/Ironman kind if thing. I think it will look fine and worst case you have a silver pearl that will match virtually any keyset. Trying to hurry up and decide would you say the pink is like this? Trying to hurry up and decide, would you say the pink is like this? Thanks. Yeah I saw that one. Not really my thing. Thanks though! This is the end to the beginning of something great! I look forward to seeing this go and hope it goes smoothly. I'm stoked for my Silver one and appreciate the oppurtunity. Thanks Koob and Good Luck! Im sure you will keep us up to date with everything. Good luck with this GB! Mr. Koob, did you get my PM yesterday about color change? Thanks! Hey buddy!! Yes i did! The change was made. Ty for reminding me. Also hey everyone! The buy has closed, and you all hit 128 orders. Thank you for joining, ty for the support, and ty for your patience. Ive been doing some intense bookkeeping with my friend Dave from mechkeys.ca these days before sending all the orders to my folks on Monday for review. If everything is alright with them, i will send payment over and get started on the machining. 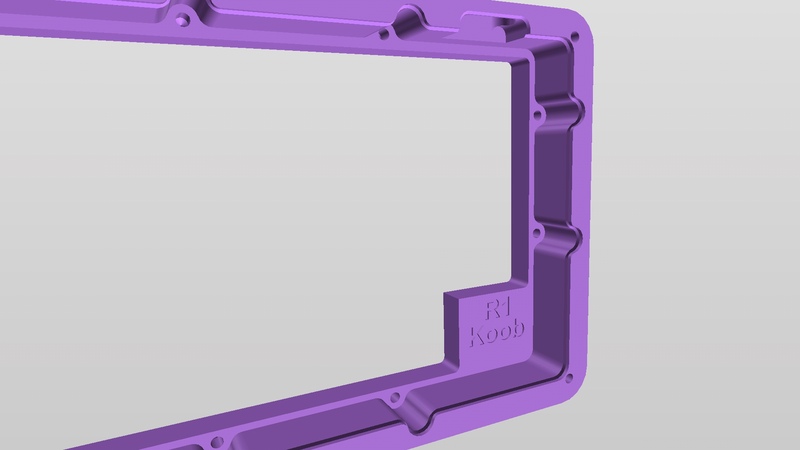 Still need to revise my plate design and sell acrylic plates, and also need to finalize the weight design. Thanks everyone! 1. I made minor changes to the top case piece. This is where the PCB bolts onto and the keycaps poke out of. I dialed in the walls so the keycap fitment is just right, added a small engraving of R1 for ROUND 1 under the left corner blocker for historical purposes, made the diamond logo a tad bigger, resized the usb hole and added a small lightning bolt engraving above the USB hole. 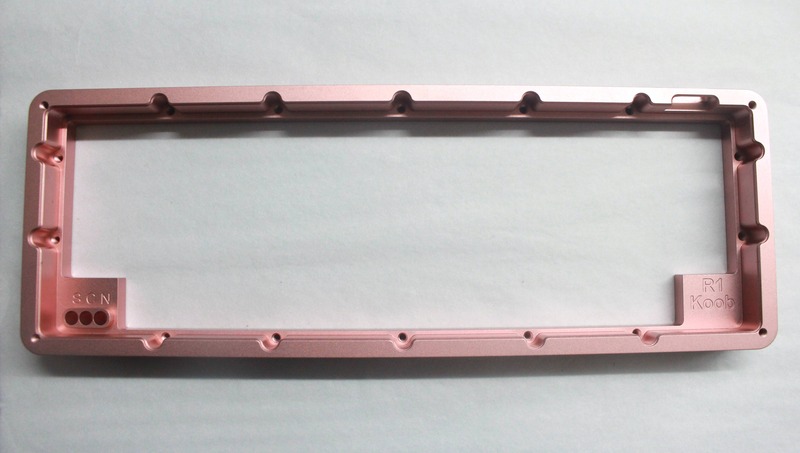 As such, I am having a single top case part sample made in rose gold before making the rest of the Pearls. 2. Weight number engraving is happening in the bottom right since the most space is there. 3. I have requested my purple color to be darker, and my anodizer said sure. So instead of the light pinkish magenta purple, the new purple will be dark grape purple. If anyone has objections to this, please let me know, I can still try and request some Pearls in the lighter purple. Omg yesss, definitly behind the choice for a darker purple! I was alright with the magentish color but kind of wished for a grapeish color, wish come true haha! Oh man, I would have love a darker purple Pearl. Too late to change, I assume? Hey man! PM me your order # and I will request for a change. Its going to be a while before anodization starts so I can for sure try and change it for you! I didn’t join because I have a MM2 waiting to be build and want to test 40% with it first, but I just wanted to say that I really enjoy all the updates, pictures, videos and little statistics you post! Awesome communication! Good job! And keep it coming! I was seriously considering getting a yellow Pearl. I chickened out and went for Rose Gold instead. So if I already ordered a purple pearl, will I get the darker purple color automatically? Or do I have to request it? Automatically. You'd only have to request the previous lighter purple if that was the shade you really wanted. Awesome. Darker purple sounds really nice, hopefully it turns out well! How would the "R1" engraving on the left blocker look like? Its on the underside, here's a pic! I've got all the accessories and hardware packed up for every order. That's a 10ft USB-C cable, mounting screws, plastic feet and 3 white indicator leds. I've also got all the RGB Diffusers in house. Waiting on the PCB's and the Cases. A final sample case is still being made and after that the rest will get the green light. In the meantime, I'm having jordijolimon help me make acrylic plates, and having KomatozKaps help make a beautiful little custom artisan for the buy. Acrylic plates have more flex, sound more dampened, feel lighter/softer and ping less than their respectful metal plates. Thanks for the kind words fellas!! Hopefully the next update will be pictures of the artisans, acrylic plates and the sample case in house! Great update, as excited as ever! Hello everyone! MERRY CHRISTMAS!! Back with another update. 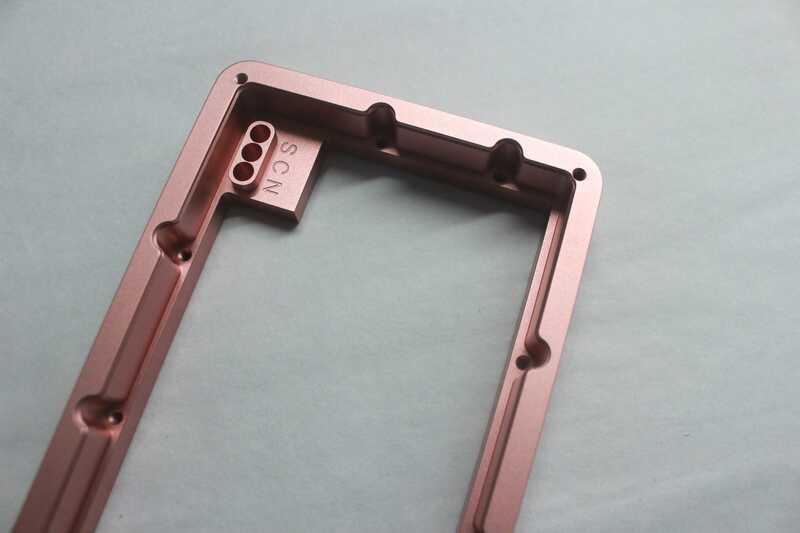 Rose Gold Sample is finished and will come to me soon. If my final revisions were perfect, i will green light all of the Pearls. If not i will spend at most a day dialing in anything that needs to be changed and then give the OK.